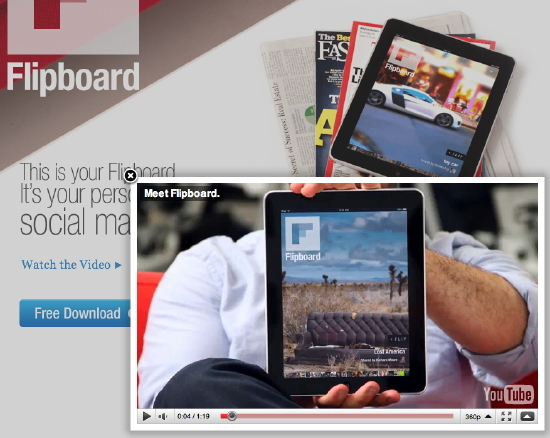 The latest slick new shiny thing is out and it's called Flipboard for iPad. Flipboard is old RSS-reader wine in a new bottle and I'm not buyin' it. It is pure iPad gold, don't get me wrong. It will probably be hugely popular. But I see it as pure eye candy that fooled the VCs who should know better but hey, anything with "flip" in the company name is a horse worth gambling on to a VC, right? (I'm guessing the suitors are AOL or IAC, maybe CondeNast but do they have the cash?). Most of what your "friends" are reading or sharing or linking to is crap. Flipboard lets you get at the crap in a prettier way. This is not progress. I don't believe Flipboard changes things anywhere near the way the pundits are already saying. It isn't a solution, it's just a slicker, shinier instantiation of an ever-worsening problem (it keeps you drowning in middle of an ever-widening river) when what we need is a solution to the problem (something that dams the river). It is not the answer. Perhaps it is yet another necessary stage (sheesh, how many more stages do we have to go through?) before the real solution, a veritable paradigm shift, starts appearing.